Let me tell you why Christmas is my favorite holiday. Because you, my advertising colleagues, deserve a high five from our fore-mostly-fathers, and that’s exactly what I’d argue that Christmas is. I’m not religious—in fact, quite the opposite. But those warm, twinkling lights, the smell of freshly cut pine trees, the cartoon TV specials, santa suits and general cheer during one of the darkest, coldest months of the year—it absolutely warms my heart. And I’d venture a guess that you just might love it too. Because today’s Christmas is an ode to advertising and marketing. And they’re pretty wonderful industries to be part of. The highest purpose of marketing is to inspire behavior change. We aspire to create campaigns that make people feel. We spend nights and weekends iterating on ideas to make them ever stickier. More emotive. Extra engaging. And boy, have we ever succeeded with Christmas. That’s according to the Pew Research Center . There’s gotta be a reason why. I’d argue it’s because our industry has made Christmas into a source of fun togetherness, with a heaping side of nostalgia (and cookies). What started as a pagan winter celebration and morphed into a multi-day religious birthday party has evolved further into the archetypical example of the power of marketing to spark positive feelings and bring people together. 29 Rooms is an inspirational example of experiential marketing, but you know what’s better? That cozy, warm-hearted feeling you get when you sit around a fire (or, these days, an Amazon Fire Stick) with people you love and eat cookies, sip warm beverages, and get drunk on eggnog and presents. I mean not us, really, but our industry foremothers and fathers sure as hell did. 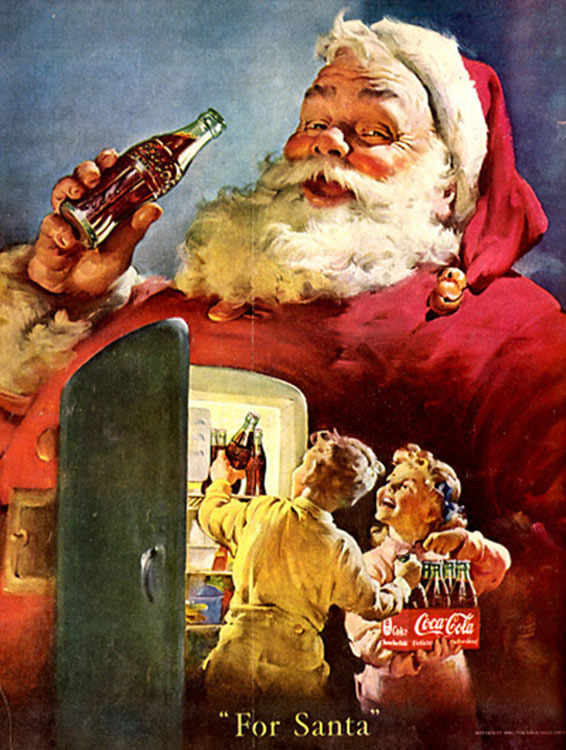 “It’s a Tide Ad” had a great figurehead in David Harbour, but Coca-Cola’s ads drawn by Haddon Sundblom in the early 1930s helped define the actual look of Santa himself. 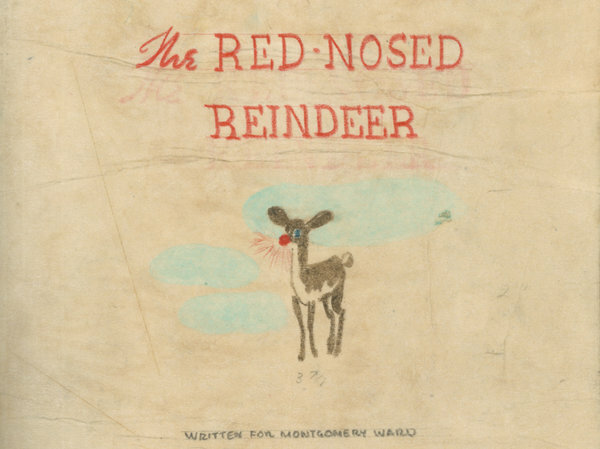 Many of us grew up singing about our ol’ pal Rudolph, but did you know he was originally created by a secular Jewish man, Robert L. May, for Montgomery Ward’s Christmas catalog? And speaking of mascots, the NORAD Santa Tracker was born after an advertisement in a local Colorado newspaper accidentally misprinted a phone number, sending calls to the Continental Air Defense Command (which became NORAD a few years later). Finally, that ever-beloved Charlie Brown Christmas special? It was paid for by Coke, brought to life by McCann Erickson (and Charles Schulz, and a ton of other people, I’d imagine). During its premier in 1965, 45 percent of households with TVs tuned in to watch—talk about blowing a project’s KPIs out of the water. As it turns out, many of our favorite Christmas characters and traditions were created not for religious purposes but for marketing. Which, when you think about it, is pretty goddamn cool. We’re part of an oft-unforgiving industry that works us to the bone, eats up our weekends, burns us out and sometimes lays us off. But Christmas represents the opportunity to take a step back and appreciate the power of our profession—the beauty, happiness and warmth that we can create together. So, have a great Christmas, ad folks! From Burger King A.I. to the Palau Pledge,Tagwords and so many more, we’ve done some fantastic work this year (I say, having worked on zero of those campaigns but having appreciated all of them from afar). And we deserve a couple days off to sit by some sort of fire, eat too much, and watch the brand-sponsored Christmas content that makes us feel warm and fuzzy. If you’re religious, you might be offended by this point of view. I am quite aware that my perception of Christmas completely sidesteps contemporary religious Christmas, and I don’t mean to offend anyone with my perspective. But I don’t believe Christians solely own Dec. 25 celebrations—after all, the first iteration of our Dec. 25 holiday was a pagan celebration of the sun’s birthday (as noted in Christianity and Paganism in the Fourth to Eighth Centuries, Ramsay MacMullen. Yale:1997, p. 155 and yes, I did get that citation straight from Wikipedia). Many other pagan and Celtic traditions have been folded into contemporary Christian Christmas, so, as we’re all borrowing from each other, differing perspectives should be welcome (in my opinion). Second, I know the holidays can be a tough time for some who have lost loved ones, endured trauma or a variety of other reasons. I’m not arguing that everyone should have a positive opinion of Christmas, but rather, encouraging us to take this opportunity to celebrate the hard work that happens in marketing. I’m definitely not suggesting your pain isn’t valid. I see you, and I’m sending you hugs. Finally, this is a very capitalism-forward point of view. I work in advertising, after all. I’m not arguing that consumption culture is a positive (or negative) thing, just appreciating a single aspect of our culture where it intersects with my industry. This article was originally published on Muse by Clio.